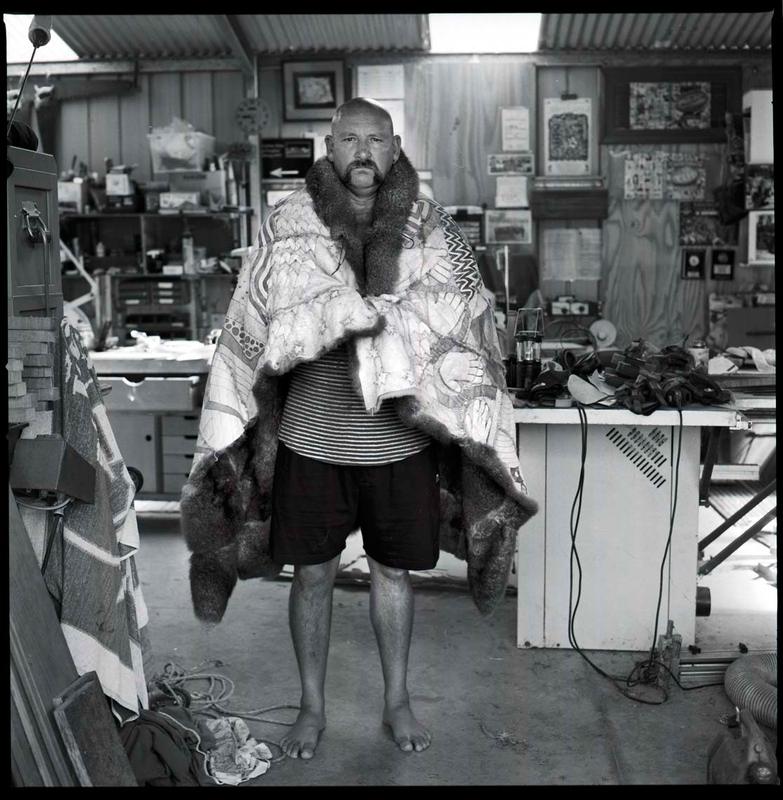 The Shed: Taungurung Elder Mick Harding, silver gelatin print, 60x60cm, Koorie Heritage Trust, 2011 Mick Harding did not know he was Aboriginal for the first 25 years of his life. As soon as he discovered his Aboriginality, he tried to understand what that actually means through his own art-making. Now he is actively involved in the Australian Heritage Council (AHC) and Native Title Services Victoria (NTSV). Most importantly, he is sharing his research and knowledge with his children. He was the lead artist in designing the motifs on the Taungurung cloak. He held community workshops where stories were told and it was decided that each panel of the cloak would represent a creation story.